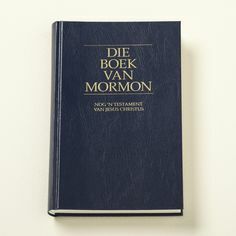 A couple years ago, a faith promoting rumor circulated about Felix Mijnhard, a non-LDS scholar who translated the Book of Mormon into Afrikaans. As the story goes, he felt the English in the text was too awkward, and had difficulty translating from it. So he looked for a source language to translate it back into and found it was a natural fit with Egyptian. It is true Mynhardt interpreted his experience as suggesting that there was an ancient Hebraic origin to the text, but this is really no different than the extensive literature on Hebraisms in the BoM and in and of itself does not prove such an origin; the value of his statement to this effect will be in the eye of the beholder. What might this common phenomenon tell us about the presence of word-for-word KJV Isaiah, etc. in the Book of Mormon? 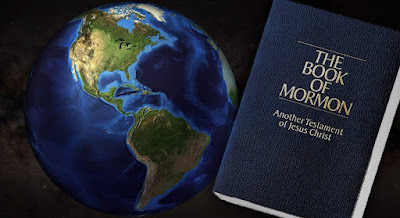 Critics have long insisted that this is evidence that the Book of Mormon is not a real translation, and yet it actually is exactly what would be expected from a real translation. What about KJV errors in the Book of Mormon? Well, what about any imperfections or difficulties in the Afrikaans translation of the Bible? When you ride that translation pony, you import the errors it carries. That is just what happens. Yeah, but the Book of Mormon is supposed to be an “inspired” translation. So what? There are two models for Book of Mormon translation. (1) Joseph Smith was an active, but inspired translator. (2) God simply directly revealed the Book of Mormon translation. I tend to favor (1), but it really does not make a difference. If it’s (1), there is no reason Joseph Smith couldn’t have done as “any translator would do,” to quote Barney. If it’s (2), I still see no reason why I should assume that God wouldn’t translate the way good translators do. What’s good for the goose is good for the gander. Have you got any evidence God does not follow good translation practice? I didn’t think so. And there are plenty of good reasons for God to stick with the KJV of Isaiah, such a familiarity to his immediate, 1830 audience (which is an important consideration for any translation). It would be nice if explaining this might lead at least some critics to stop insisting that the Book of Mormon cannot be a real translation just because it betrays the features of standard translation practice, but I won’t hold my breath.